Every Startup Founder must be a multi-tasker. Sometimes 24hrs is not much enough to meet an efficient productivity. Not only the startup founders, C(x)O’s but also the employees must to multi-tasking in order to stabilize the productivity. 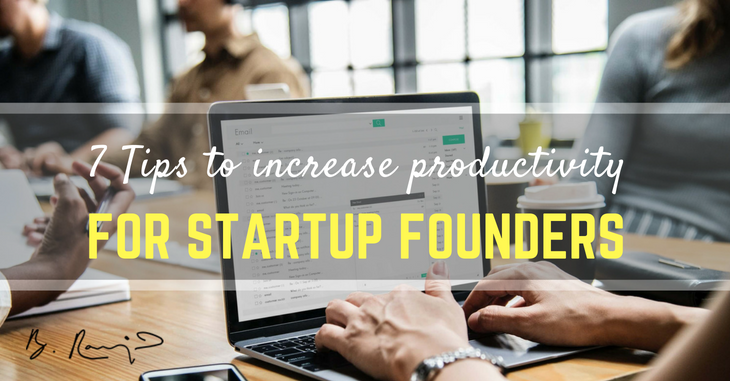 Increasing productivity for startups is not a rocket science. It’s just how efficiently we are managing the time to boost productivity. I made a deep research on how the experts & successful entrepreneurs manage their time efficiently for the past 9months. I followed these techniques regularly. Yes, the result was AWESOME!! Health is a priority. I know during the night we can work peacefully & there are some exceptional cases that we can’t avoid night works. But rising before sun-rise is much healthy than other scenarios. Let’s have a loot what are some pros of Early birds. Early risers really do have a distinct advantage when it comes to mental clarity, acuity, and energy. Simply put: Waking up early works better than any other strategy for becoming more productive. But you have to make sure you get enough sleep to back it up. So get to bed and have min. 6-8hrs of sleep peacefully. The beginning I struggled a lot to follow. But practice makes anything perfect right?. Gradually I started sleeping before 11.30pm even there are plenty of jobs in my dashboard. And also will wake up on or before 6.30am and start my day efficiently. Food is the foundation of a healthy lifestyle, and your productivity is affected by the food you eat in more ways than you can imagine. Good nutrition enhances cell development in the brain, and it’s easy to see the connection between eating habits and productivity. A good meal can positively affect your sleeping pattern, thereby allowing you to generate more creative and effective ideas while you are awake. And of course, having healthy food habits can keep you physically fit, which in turn sustains and develops your mental well-being. Working out is probably the highest-leverage tool to boost your productivity. It predictably and reliable makes you feel better and keeps you both physically and emotionally healthy, year round. To have the mental energy to take on the full calendar of to-do’s that people want from you; you have to be in the gym for 60-120mts/day. 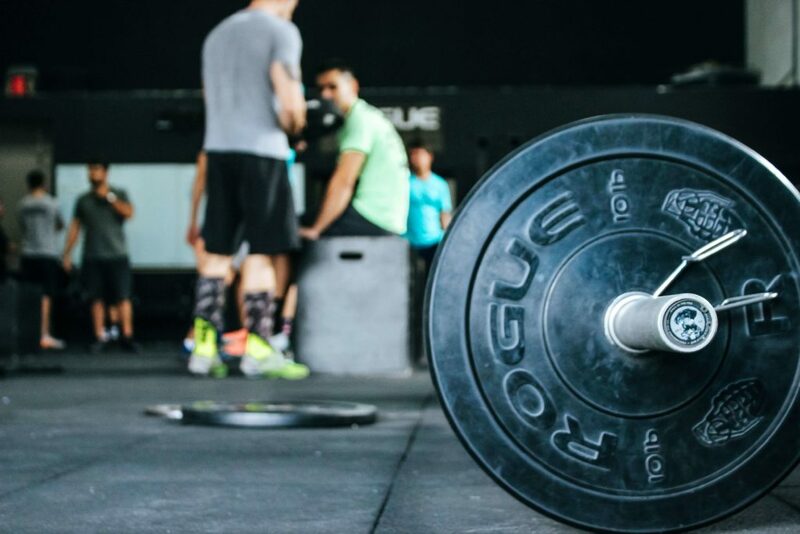 Training yourself physically not only gives you benchmarks to hit on a regular basis, but it also creates a predictable backbone in your daily life that you can count on, even if everything goes wrong. Mentally, that’s very comforting. Trust me; I know that integrating these habits into your life won’t be easy at first. But if you’re not healthy, your business can’t thrive anyway. Physical fitness is a long-term investment in your business. Starting your day with a clear idea of what you want to do changes EVERYTHING. Have you ever had a day where as soon as you woke up, there were already missed calls, text messages and emails screaming for your attention? You felt like you were struggling to stay afloat before breakfast. Oh, that sounds like every day, you say? This thing needs to be stopped. Never commit to productivity without having your breakfast. First, do the morning works and work out well. Then take a bath and have a healthy breakfast. Then take a few of those minutes back to refocus yourself. It really helps. You can also use that time to create a better to-do list. Without planning a to-do list it’s very tough to meet your productivity as you are your own BOSS. There are many free task management tools for startups. Use any of them and make a self-assessment of yourself. When you are into a desk, disable all the notifications else try to stay away from Wi-Fi zone to enhance your productivity. Email is one of the most distracting tools that have ever been built! Yes, everyone’s life pretty much is associated with Emails on a daily basis, but don’t let that trick you into believing that no suitable alternatives are available. 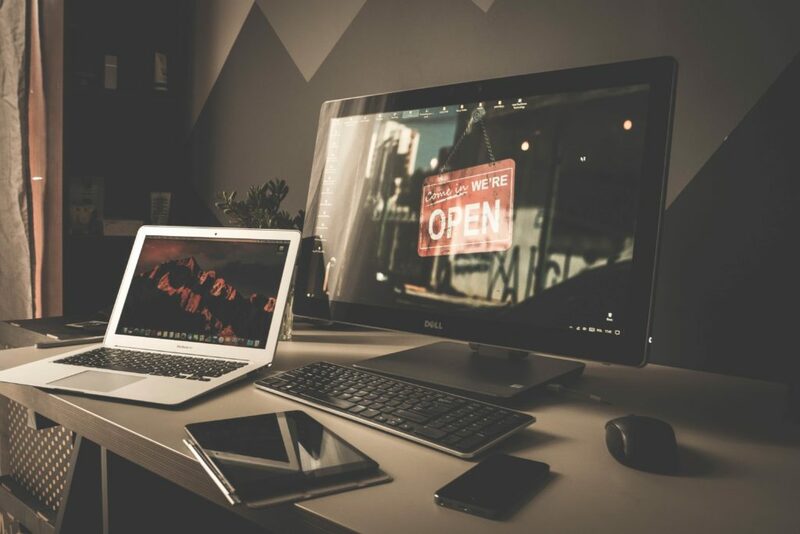 Email is one of the key reasons for distraction in work environments and it could be easily replaced with better Project management software, which improves team productivity through collaboration and better internal communications. Whenever you need to buckle down and get your work done – make sure you’re comfortable. While it’s difficult to measure and evaluate comfort, research suggests there is enough evidence to claim that comfort can affect productivity. So get yourself in a place where you can truly focus and ‘relax’. Sometimes what’s needed is to lie down on a sofa and get on with it. But of course that’s not always the case, and some folks might prefer a standing desk for a change. You’ll want to find a place where you feel you can work done and has little distractions. If you’re in an open office; get some noise-canceling headphones. When you see yourself becoming restless; it’s time to change your surroundings – or probably time for a break. Don’t misunderstand. What I’m suggesting to do is “Do a single job at a time”. For example, if you are managing a project, don’t answer any phone calls & stay away from Mails. I know that it will be great on answering to a customer query on one hand & handling the tickets on another hand. But it is not healthy for productivity. While it is a commonly accepted notion of Move Fast, break things in a startup environment, hustle doesn’t always mean multitasking. Focus your entire concentration on the work at hand and tackle situations one at a time. Multitask only causes your attention span to wane off over the day and make you more unproductive. Focus on the here-and-now to avoid multitasking making your work significantly unproductive.